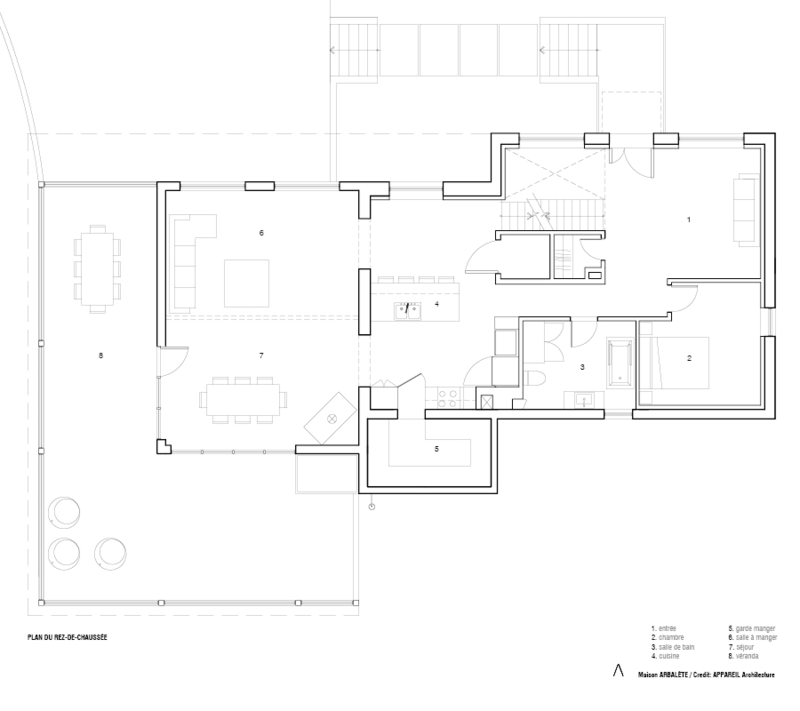 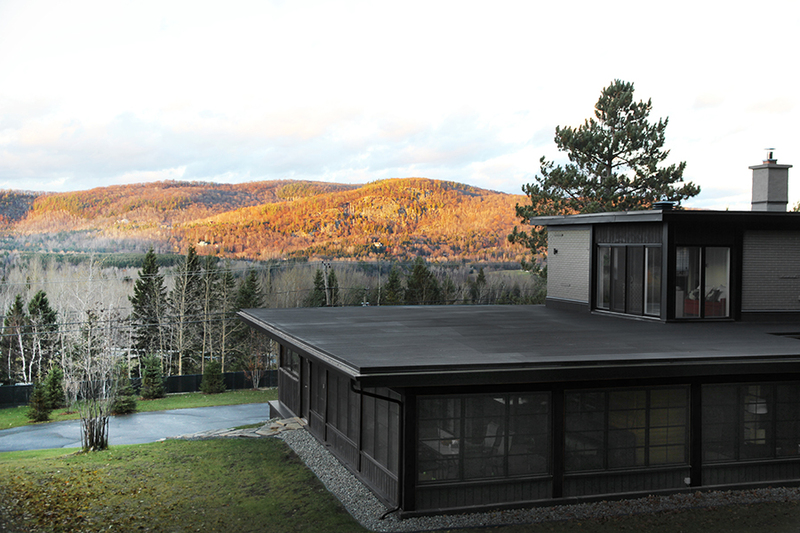 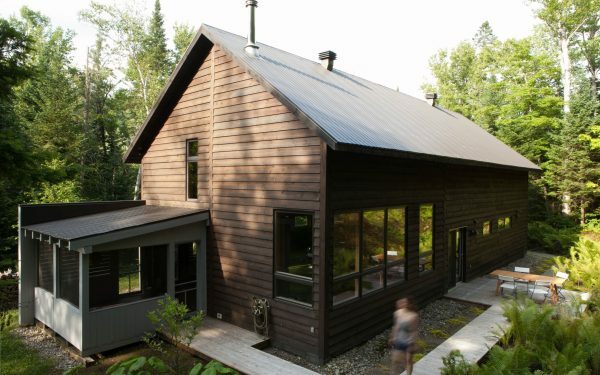 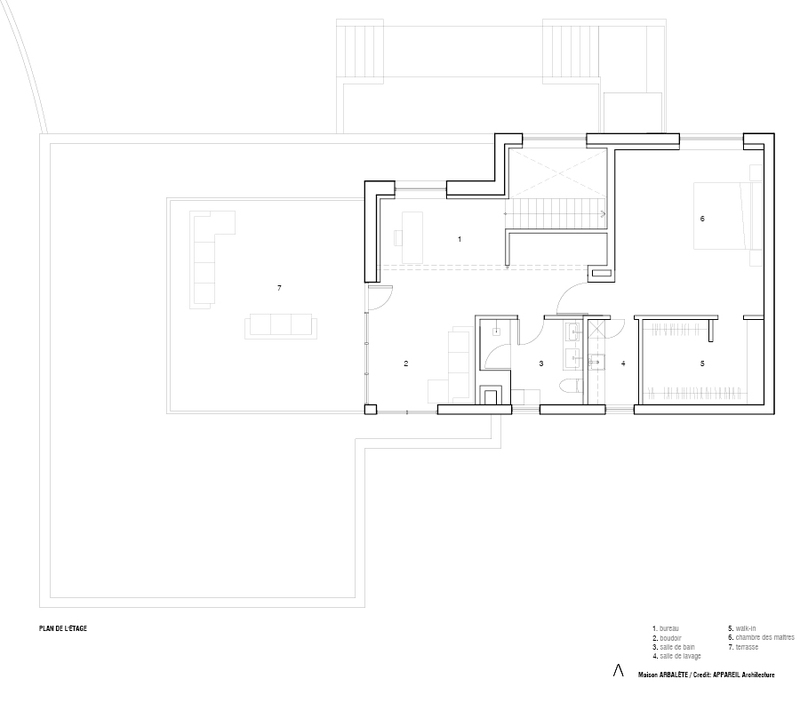 New design and layout of a house located in the Laurentians, with the goal of creating a more cohesive whole that echoes both the environment and the client’s needs. 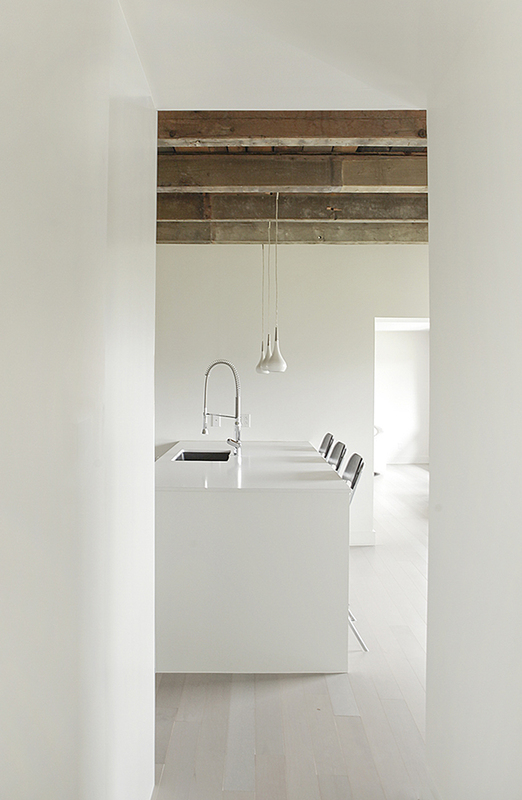 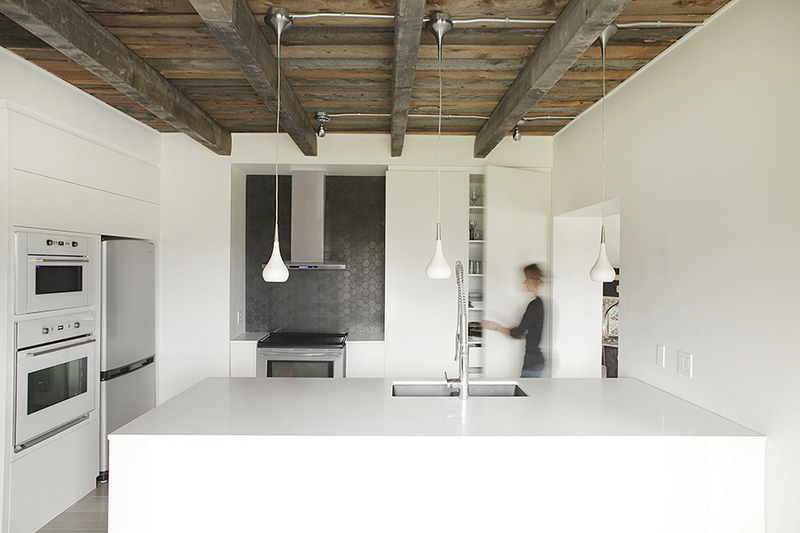 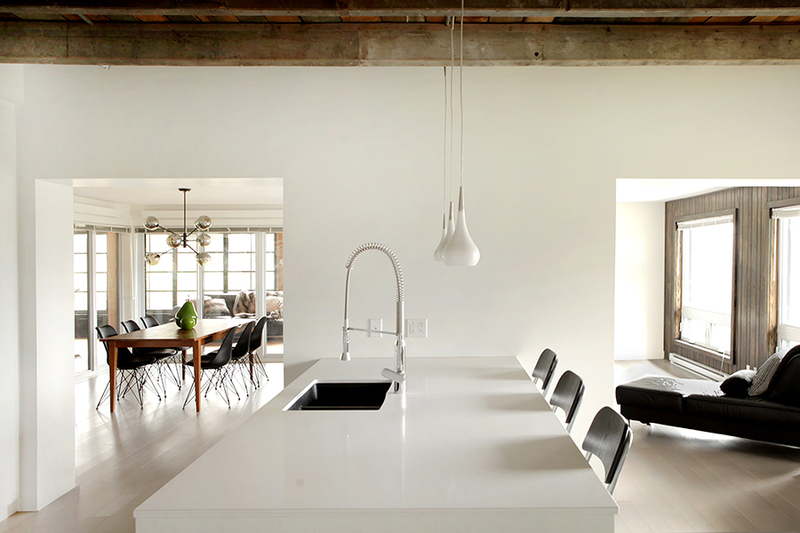 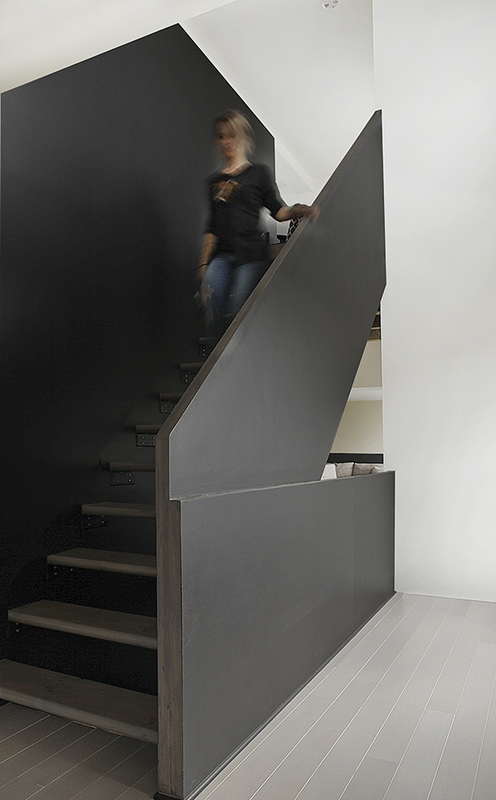 Elements of the pre-existing house were preserved, such as the old wood beams, creating an interesting contrast with the new contemporary look of the space. 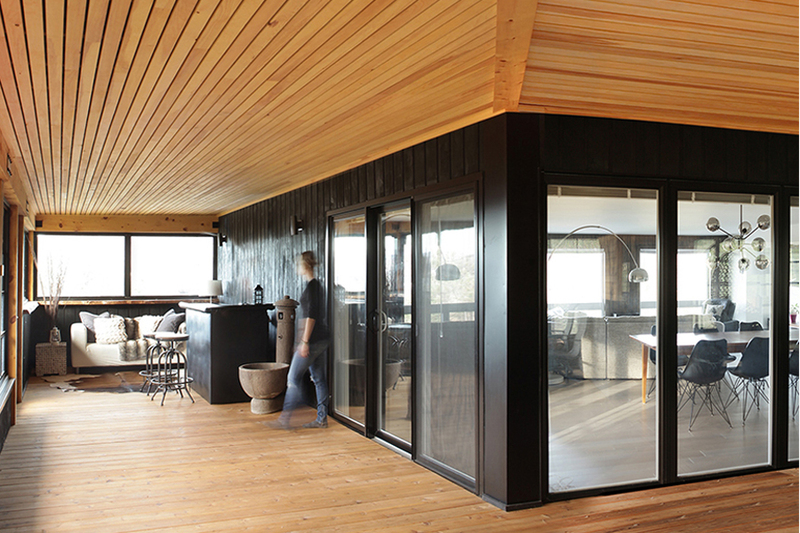 A large extension now serves as a link between the house and the surrounding nature.